Newburgh Museum presents an exclusive exhibit of Civil War photography by Kenneth May photographed throughout the United States including Newburgh Remembers. Mr. May has been the official photographer for Civil War re-enactments including Gettysburg, Pennsylvania, Perryville, Kentucky, Corydon, Indiana, Jackson, Michigan along with many others throughout the country. He will again be the official photographer for this year’s 155th Anniversary of the battle of Gettysburg Reenactment, along with many others throughout 2018. 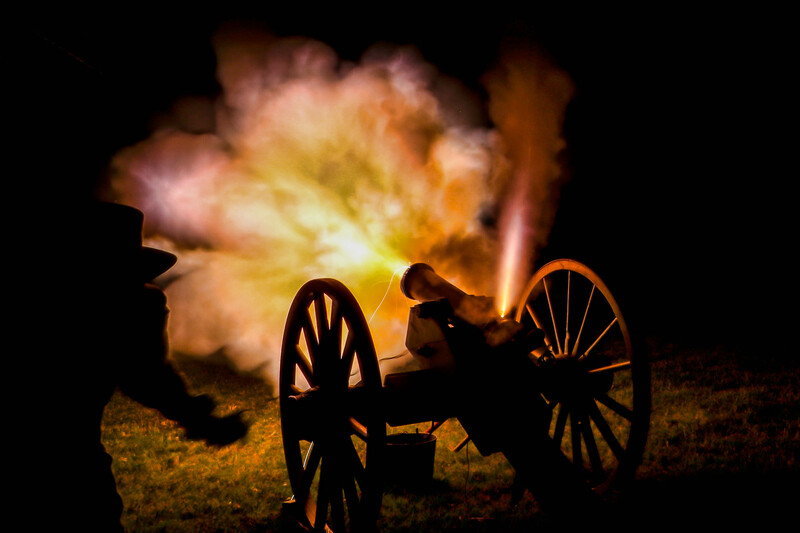 In addition to reenactments, Kenneth has documented over 400 Civil War battlefields and sites throughout the country, and his photography continues to be used in Civil War publications and the US National Park Service. His reenactment photography brings to life a part of our past history reflecting the life struggles of the Union and Confederate soldiers, as well as the impact with homes and families, during everyday life to survive a war where at times, neighbor fought against neighbor and brother against brother. Two of Mr. May’s canvases will be auctioned during “Newburgh Remembers” July 20-22. Stop by the museum to place your sealed bid. See Newburgh Remembers, Kenneth May Exhibit to view the two canvases to be auctioned and how to place your sealed bids. The museum invites you to step back in time as the Civil War unfolds through photographs and enjoy the craft of a great photographer. The Newburgh Museum, located at the corner of State and Main Streets, is open to the public on Friday and Saturday 11-3:00. Group tours are available by calling 812-853-5045 to schedule a date and time. The Museum is accessible to all. Newburgh experienced its greatest period of commercial success during the mid nineteenth century as a prosperous shipping center. The town’s geographical position on the Ohio River and its close proximity to fertile farmland and coal mines made it an attractive location for business. Furthermore, Newburgh’s high riverbank made the landing of vessels (including the larger steamboats of the era) safe and easy. By the 1850’s, commercial trade was drawing business from both sides of the river and numerous warehouses to hold incoming and outgoing goods were constructed from Monroe Street eastward to Church Street. 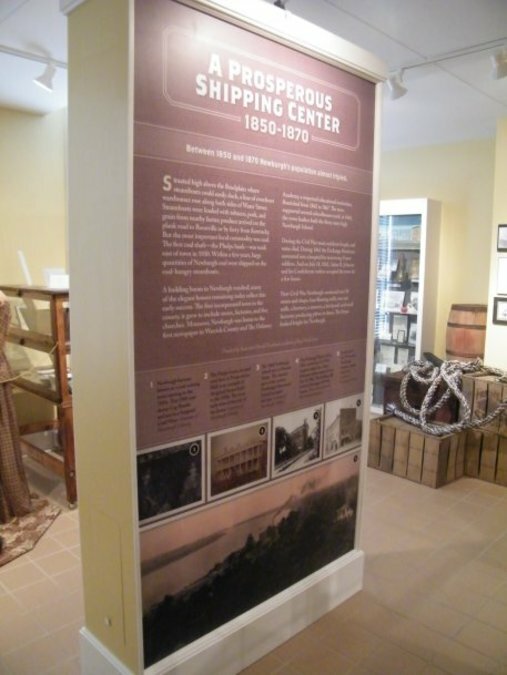 The large volume of goods that were shipped to and from Newburgh in the 1800’s required a significant number of laborers to handle the loading and unloading of the numerous vessels arriving and departing from Newburgh’s wharves. Known as stevedores, longshoresmen, or simply dockworkers, these individuals were an important and necessary part of river commerce. Before such labor was organized, this arduous work was usually performed by day laborers who lingered around the docks in the hopes of being hired by one of the shipping companies or local warehouses. The Census of 1870 lists a noticeable number of day laborers (both White and African-American) in and around Newburgh. Other dockworkers lived an itinerant lifestyle, travelling up and down the river as work became available. A Caroling We Will Go-A History of Christmas Carols. The Newburgh Museum has opened its newest Christmas exhibit just in time for the Holidays. The exhibit features an interpretation of 5 famous Christmas Carols and includes a frosty outdoor turn-of-the century scene with carolers in period attire, as well as a late 1800’s family parlor Christmas scene complete with a feather tree adorned with antique ornaments. 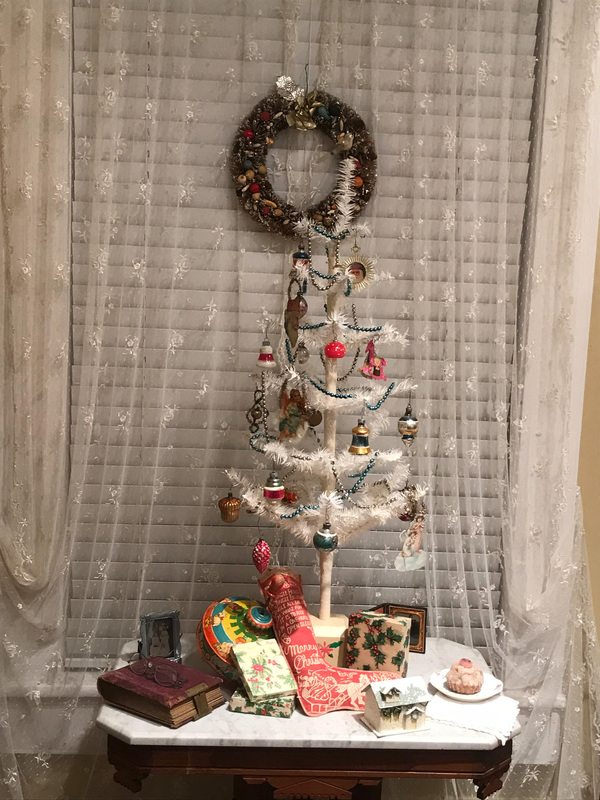 Also included in the Christmas exhibit is a Snowman exhibit featuring snowmen from the early 1900’s to 1990’s and a display of Newburgh’s own Engles Pottery which operated in Newburgh in the 1940’s. 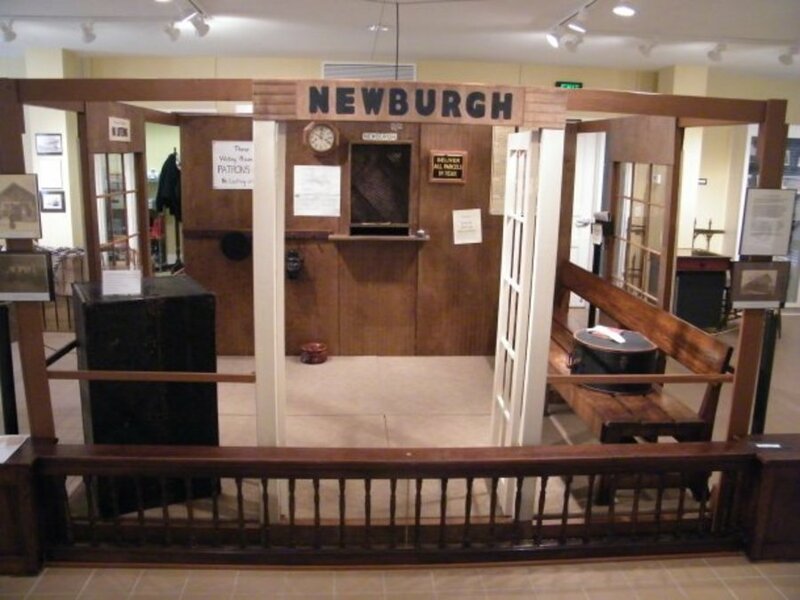 The permanent exhibits depict Newburgh’s history from its founding in 1803 and include original artifacts which are on display. Free admission with donations accepted. Memberships available. Call 812-853-5045 for more information or to schedule a group tour. 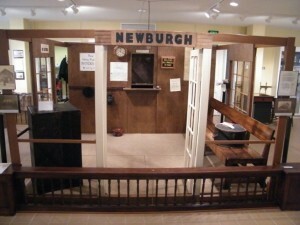 The Newburgh Museum is located on State Street in Preservation Hall. Hours of operation are Friday and Saturday 11-3:00. Groups are always welcome and to an appointment call 812-853-5045. 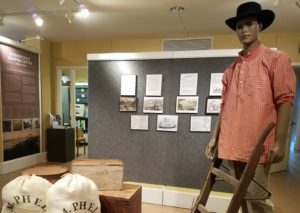 The permanent displays at the museum tell visitors about the town’s history through four different eras. They include information about the town’s founding, how it got its name, its early industry, a period of decline, and how it has changed in modern times. Displays include items from long-demolished school buildings, one of Newburgh’s first pianos, menus from old restaurants, and more. 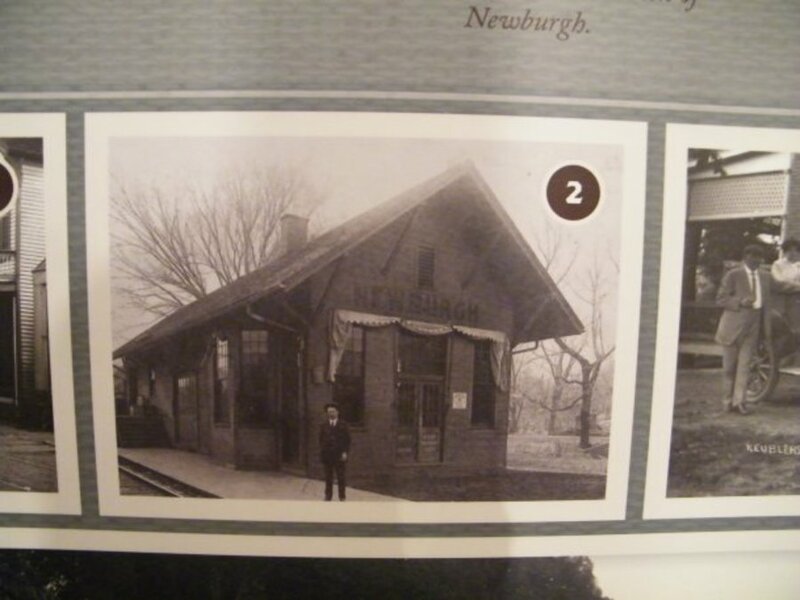 An exterior picture of the E&OV depot is part of a permanent display at the Newburgh Museum. 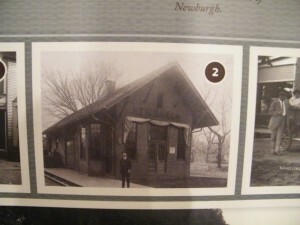 The depot operated from 1908 to 1938.